There looks like some countries disregarding human dignity, downgrading human to be dogs. 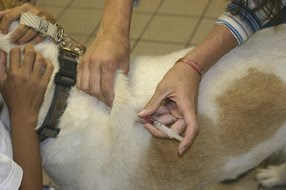 That plan is to implant microchip in the human body just like for dog. As this technology is too old fashioned, anyone can transfer such capsule to god or cat or motorcycle or what so ever moving entity. Let Government keep track some capsule. Someone may give you copied one or better one, like all copies of Mr. President. This happens because there is no biometrical relationship between capsules to human. Easily replaceable, easily copy-able, easily shield-able, legacy, low level, Dark Age technology for DOGs. Our future, implanting to our body, if not using I AM card. Farther more, the wireless frequency microchip for pet is 125 kHz ( ISO 11784/117785) and 134.2 kHz (11784/85, 134.2 kHz )and the photo looks very similar to capsule for pet, coil winding around ferrite core, cannot be even closer to the range of 1 GHz, how this can communicate with Satellite???? Toll gate at highway is 2-5 GHz with around 100 feet at back scattering. In much higher frequency range, Body acts as conductive body and thus very difficult have long range of communications. We cannot see any battery in the capsule, so communication distance is further limited. Another way to make capsle undetectable is to make LC circuit tuned to the carrier frequency ant put neaby the embedded capsle. Actually the video shows the distance is few inches, nevertheless talking about GPS(??? ): Introduced as BARD CODE people (not hair bar code) , http://video.google.com/videoplay?docid=1969277708432444041&ei=wAnfSajHC4jIwgO_prS6Dw&q=microchip&hl=ja. 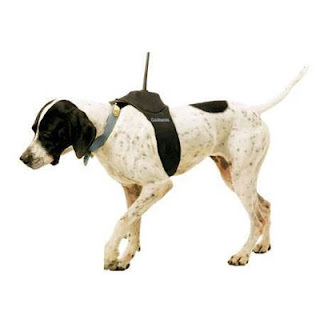 For searching DOG, GPS is attached to the body not in the capsule as shown in the Photo. Do you want to be like this? Our future, if not using I AM card. People can shield wireless communication by putting coin or aluminum foil on that and can put on faked on the top. If any those who want use this, recommended to eat dog food. There are some concern reported that implanted MicroChip caused CANCER. (http://www.nakedcapitalism.com/2007/09/microchip-implants-may-cause-cancer.html). What is interesting even a owner of this company is not ready to implant it. e-Smart card, contracting to Legacy doggy technology, human possess and card holder’s irreversibly encrypted fingerprint is stored in the card, which can be only used by the card holder under ISO 14443A/B, of course no battery wireless power and fingerprint matching system on card. This is the technology for human and not for dogs. Korea start using this now.